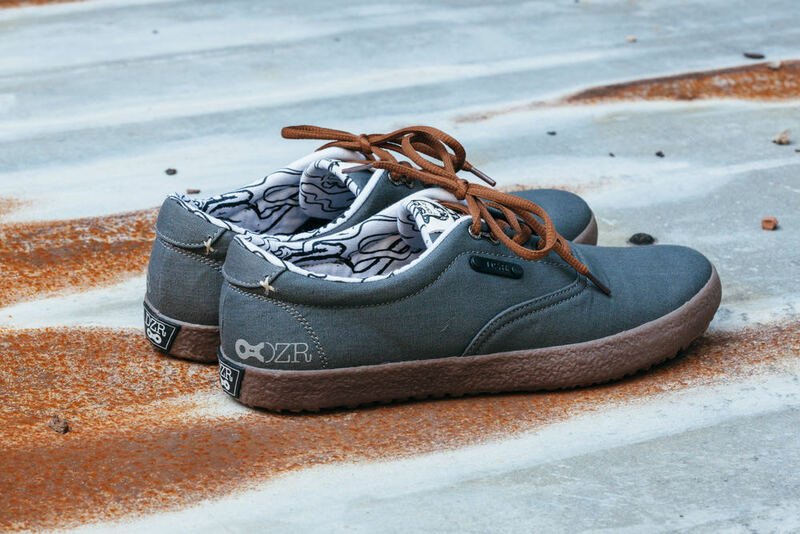 Been wearing these DZR Shift shoes for the past few weeks. They are part of DZR's larger line of cycling-centered products which also include other shoes, clothing, tools, and bike accessories. All together, making DZR a sort of one-stop-shop for general cycling needs. The Shift comes in 3 colors and is meant for flat-pedaled bicycles (no clips) and is perfect for the setup I have on my own MSC bike. Riding with these on platform pedals is comfortable and grippy. My only gripe is that I wish the rubber was a bit more grippy on asphalt (but don't get me wrong, it wasn't like I was sliding around on ice or anything -- I just wish it offered more stopping power if I were to drag my feet on the ground). 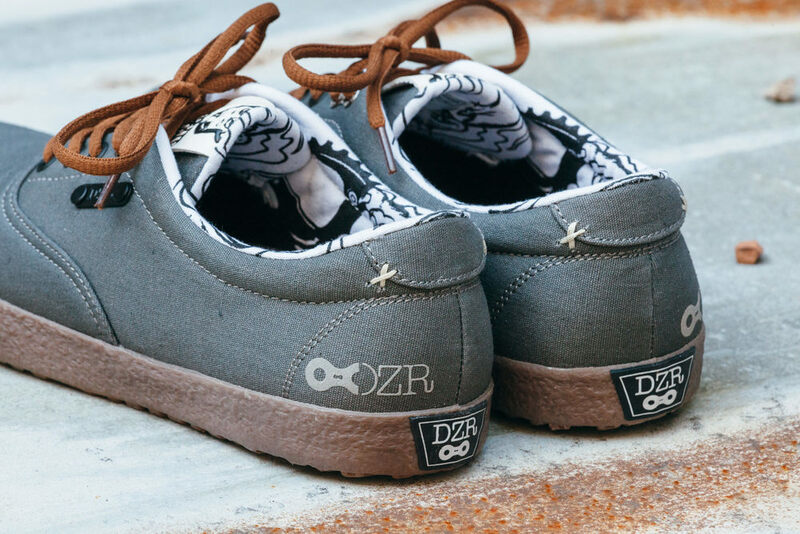 But really, these DZR shift sneakers are pretty good. It's a low profile sneaker with no frills. And depending on the colorway, the interior lining is drawn by one of these three artists: Burrito Breath, Wakako and D Young (mine was Burrito Breath and I wouldn't have it any other way). 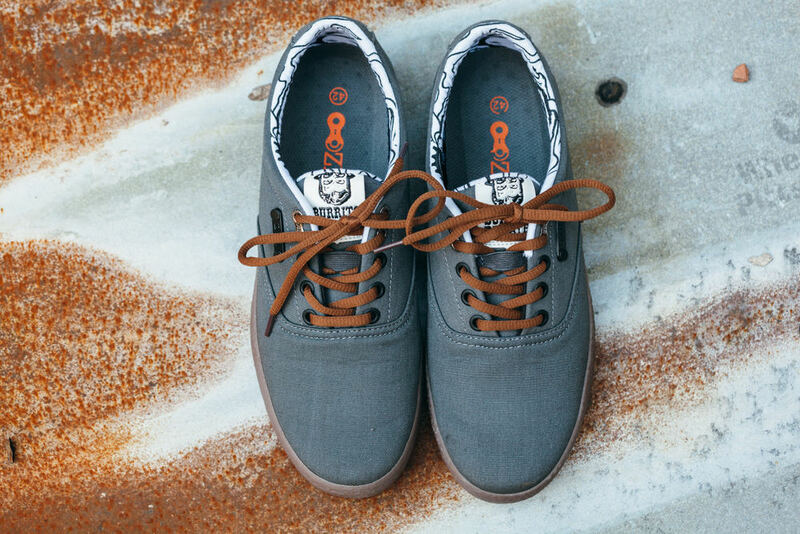 An added plus is the neat chainlink footprint this shoe has if you were to step in mud or sand. Something neat to leave behind for those following in your path. Sizing is normal and fit is comfortable. Really nothing bad to say about these. Check out more photos and information here and pick up a pair for $79.